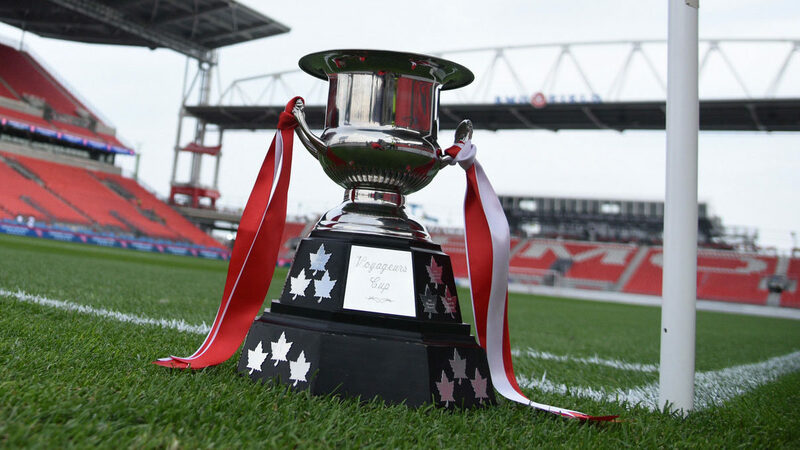 The Voyageurs Cup. (Canada Soccer). Matchups for the 2019 Canadian Championship will be announced Feb. 12 following a draw to determine the competition schedule. The competition will feature 24 games over five rounds. The draw will determine the Round 1 matchups (May 15 and 22), as well as the subsequent round matchups to produce the pathway to the Canadian Championship final scheduled for Sept. 18 and 25. 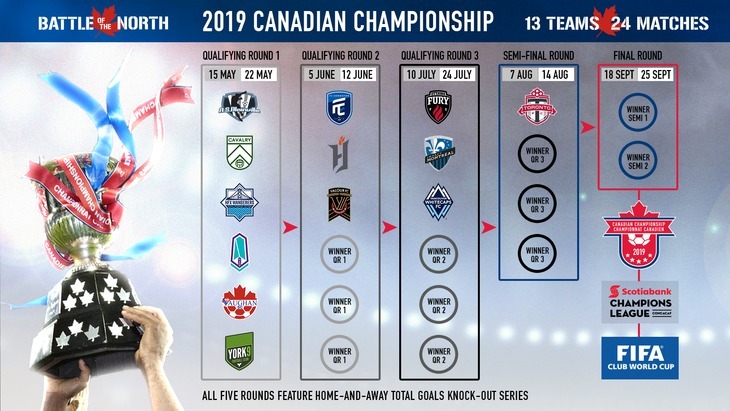 The Canadian Championship schedule for 2019 (Canada Soccer). The draw will be conducted to place each round’s entrants into a home and away series denoted by a match number. Round 1 will feature match numbers one through three, Round 2 (R2) will feature match numbers four through six, Round 3 (R3) will feature match numbers seven through nine, the semi-final round features match numbers ten and eleven with match number twelve being the final. In R1, champions from League1 Ontario and Première Ligue de soccer du Québec will not be drawn into the same match number. After R1 matchups are set, and subject to facility availability, the seeded teams from Qualifying Round 2 onwards will host the second leg.